Fred is a polyglot. His native language is English but he lived for some years in France and speaks near-native French. 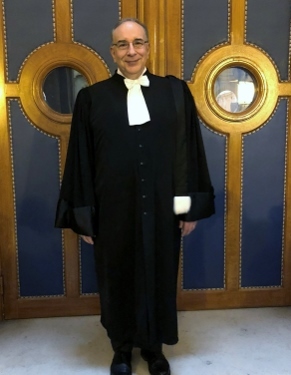 He is a member of the Paris bar (avocat au barreau de Paris), meaning that he has a deep understanding of French law and the civil law legal system and can conduct business in the French language. He also speaks fluent Italian and German, having studied and lived in both Italy and Germany. By virtue of having done business in several Latin American countries he has a strong working knowledge of Spanish and is able to read legal and other documents in Spanish with full comprehension. He also can read Portuguese.